Pollen recently wrote an exceptionally hip article about Keyhubs. Unlike many business publications, Pollen is an incredibly cool, artistic and creative medium for fostering community. I had been tracking their feature stories for some time and greatly admired how they integrated visuals and story telling to put together remarkably engaging content. When they reached out to me about doing a feature I was deeply honored. There have been some good articles written about Keyhubs over the years, but I knew the Pollen one was going to be like no other. 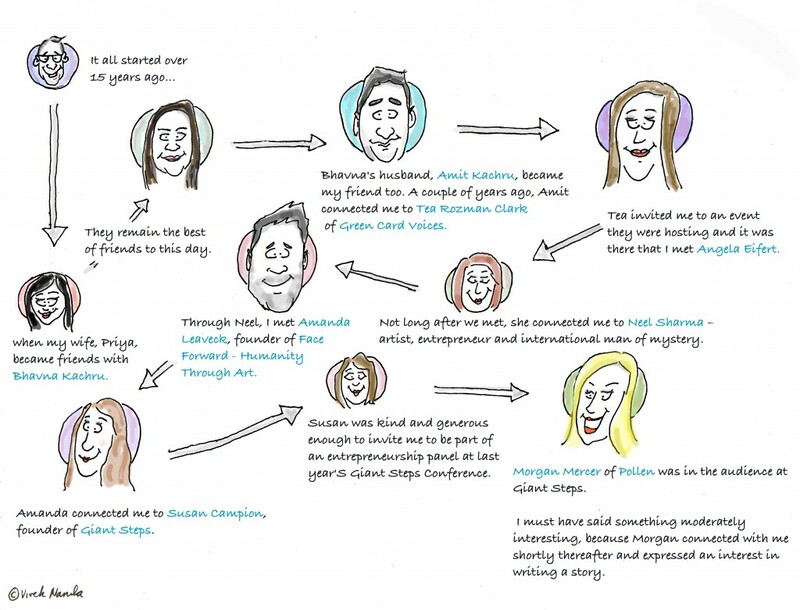 I love how they told my story – the Keyhubs story – elegantly weaving in colorful photos, illustrations and quotes to highlight important aspects of the journey. Pollen painted an intriguing and accurate picture of our brief history. And, because one article cannot possibly capture all facets of a story, I wanted to use it as a springboard to share how Keyhubs is evolving and growing. Yes, Keyhubs was founded on the premise of human connection in the workplace. Understanding work through the lens of interpersonal connectivity provides insights that surprise, enlighten and transform. Beyond the top-down hierarchy, there is a “hidden” informal dynamic whose energy and power can be harnessed to take organizations to new heights. As we embarked on this journey, we also learned the power of human connection and networks outside the workplace. Through connection and relationship, things happen, ideas come to life and people flourish. Our business grows through the power of human connection. We don’t “sell” our products and services. We joyfully connect with other human beings for the pure magic of connecting. Through this, our business naturally progresses and grows. By seeking out and making new, meaningful connections (and nurturing existing ones), we create opportunity for ourselves and others. I connected with all of these individuals with no real end goal in mind. I just wanted to meet and get-to-know other human beings. That simple act inevitably leads to new and enlarged opportunities. As our business progressed and grew, we realized something else: entrepreneurship is a priceless journey. Especially when it is done with purpose and passion. We experienced first hand the pillars of human motivation and saw that entrepreneurship is one of the best vehicles to enjoy autonomy, mastery and purpose. We saw the potency of creative self-expression, “hobbification” and weaving the growing network together through some form of creating and sharing – in our case, blogging. When we create and share, magic happens. This is the essence of entrepreneurship and the basis of a more fulfilling life. We are all creative spirits, born to share and socialize our priceless uniqueness. We don’t want to just create new jobs, we want to inspire creativity, self-expression and entrepreneurship. We want to breed purpose-driven entrepreneurs. And we do that too. Paramount to all of this is something else we “stumbled-upon” – our greatest Gift – the human Spirit. This changed everything – the Truth that I am, we are, endowed with an indomitable Spirit, whose essence is love. Yes, the Spirit is real and through it all things are possible. We want to make this Spirit the central organizing principle of everything we do. Love, joy, compassion – these are the fruits of the Spirit and we want them to be integral to our work and culture. It is what we get to take with us after all is said and done. Come what may, we are renewed and reaffirmed by our priceless human Spirit. And so, we spend time feeding It. A big part of feeding this Spirit of love is sharing It – by giving back. Love grows when we share it – when we set it free. What is the point of that Spirit if we do not help and inspire others to bring forth the same? Keyhubs is growing, yet we are not satisfied until we also grow in altruism and unselfish service, especially for those that are at a resource-disadvantage. We want others to enjoy the Gifts that we have and have been given. And so we give. Freely and generously. We give away free trees. 10% of our profits (at a minimum) go to social ventures and other charitable causes. We donate our time and resources to causes that intersect with our own. For example, we have partnered with AMAZE – a local non-profit – to bring our network mapping technology to schools to help identify and prevent bullying activity. In giving back, we obtain profits that are priceless beyond measure. 1) We love human connection. Our journey allows us to revel in it. 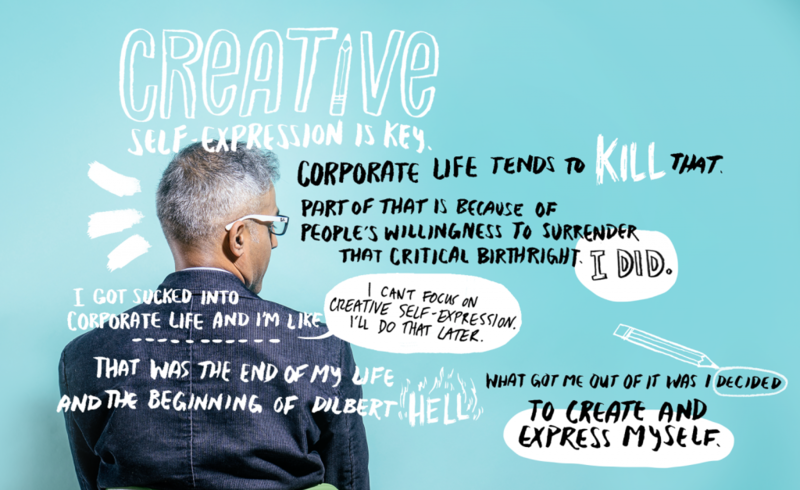 2) The purpose of life is creative self-expression. We create and share for the pure joy of creating and sharing. This is the essence of entrepreneurship and nourishment for the soul. 3) We are here to light (y)our Hearts on fire, to bring forth and grow in the fruits of the Spirit – love, joy, compassion and generosity. This is the Keyhubs story and we look forward to sharing more with you as the journey unfolds. What a beautiful way to express and bring out the essential nature of Being(spirit). When the basis of business is service oriented then every one benefits. I really like the idea of giving free trees to school children-and helping schools to get to the bottom of cause for bullying. Keep up the good work. What you give out comes back multifolds. May God give you good health and long life so that you can spread your ideas and goals and share them with as many people as possible. God Bless. Thank you, Mom!! I love you. Vikas, I thoroughly enjoyed your essay and the graphics that went with it. I studied the path that led to KeyHubs and all the connections. My friend does a workshop on networking and I plan to share your blog with her. Fascinating story. Thanks for taking the time to document it and weave in so many life lessons. Really appreciate all your support.